Windows Phone apps have just been flying into the marketplace lately. 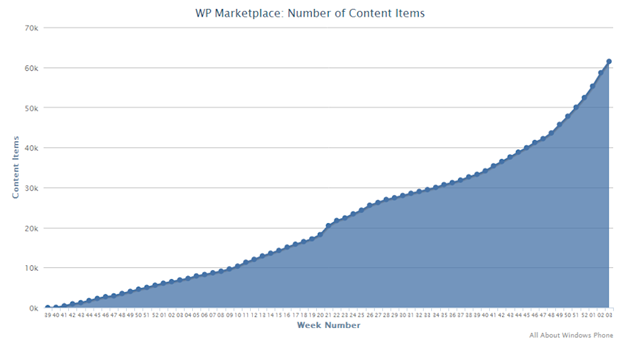 According to AAWP, the marketplace has hit 60,000 apps and it is going at a pace of 400 apps a day. We have seen tons of great apps hit the marketplace and a few official ones too. Windows Phone now has 10,000 extra apps in 25 days. In about for months at this same pace we should hit a grand total of 100,000 apps. Written by: Hyde13 on January 22, 2012.